On the way to Lewis and Harris Island we spent the night in the small village and ferry terminal for the Outer Hebrides, Uig. 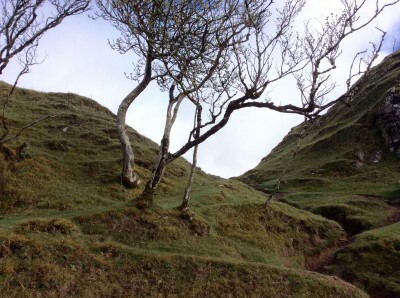 On the outskirts of town is a beautiful glen in miniature and according to local folktales the abode of fairies. 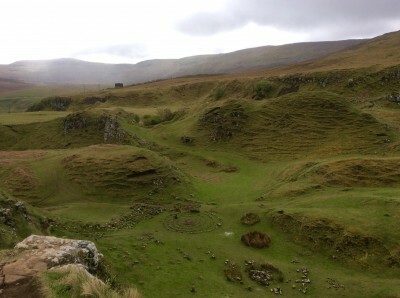 Beck and I wandered through green hollows and cone shaped hillocks. 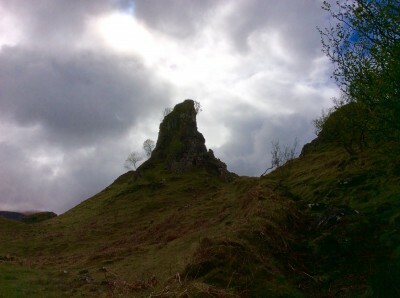 We scrambled up Castle Ewen, also known as the Fairy Castle. 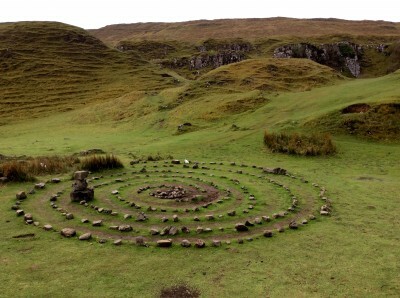 It truly is a magical spot and one could believe wee folk peering from behind rocks and flowers.